Deploying IP video surveillance requires understanding the key devices and technologies used in IP networks. Unlike analog video surveillance, 'connecting' IP cameras has far more options and nuances. In the pro section, we provide a 39 minute screencast that explains important aspects of IP networks for use with video surveillance. We provide a series of demonstrations showing how different settings impact connecting to IP cameras. Pre-requisite: an understanding of IP addresses or review of our IP addressing training report. We offer a 12 question on-line test on IP networks. The preview below lets you take a 3 question sample test once without scoring nor feedback. Pro members may take the full 12 question test, have the results graded plus feedback provided on correct answers. 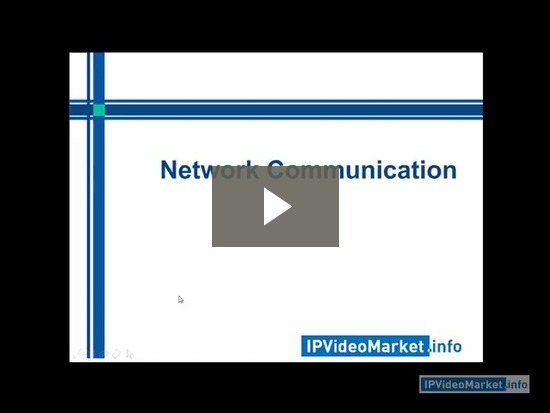 Below is our screencast on the fundamentals of IP networks. As a pre-requisite, review our IP addressing training report.